Celebrated for its intricate techniques and bespoke elegance, Saint-Louis will showcase some of its timeless collections at the International Design Furniture Fair Hong Kong. Various revolutionary and collectible fine crystal pieces will presented, namely the Royal, Quadrille, Tommy and Quartz collections. As the first luxury design, furniture and lifestyle fair, IDFFHK accommodates more than 20 world-class brands. Opulent and versatile, the latest Royal Collection brings the classic chandeliers to live with utmost flexibility and modern touch. 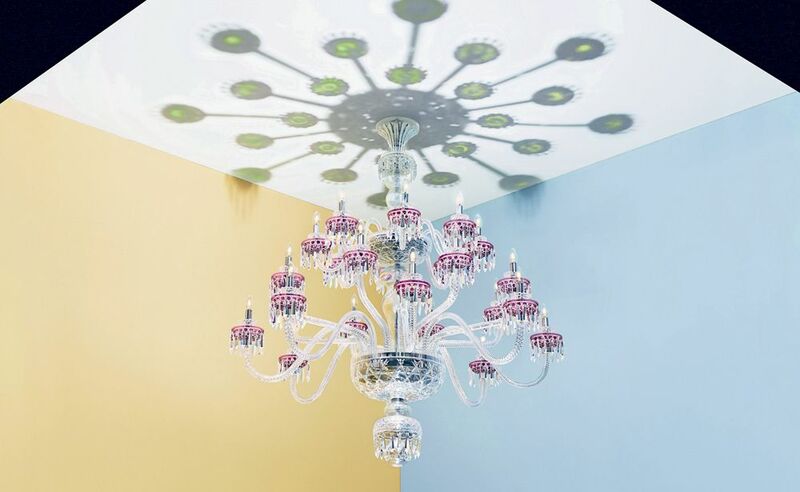 You can customise your own chandeliers with a diverse array of pendants, lampshades and more. Created to celebrate the 65th anniversary of the emblematic Versailles vase, the Quadrille Collection injects a geometric twist into the iconic product. The popular Tommy Collection is famed for its delicate adornments with precious gemstones, and new products added to the series include a diamond-cut stopper, candlesticks and more. The Quartz Collection transforms precious rock crystals into lamps in cubic form, in which the bevel-cut section of the crystal cube diffracts light while its sandblasted portion captures it. Kicking off with a VIP day on August 21, IDFFHK will be open to the public from August 22–23, taking place at Hong Kong Convention and Exhibition Centre. Saint-Louis will be at Hall 3FG, Booth no.3D05.